With my second-year group back last year, and with my MA Archaeology of Death and Memory students a few weeks ago, I have explored the memorials and sculpture in the city centre of Chester as a case study in how the past of a British city is commemorated through material culture and monuments. I use the collection of ‘Roman’ stonework near the Town Hall as a case study: what is this collection commemorating? 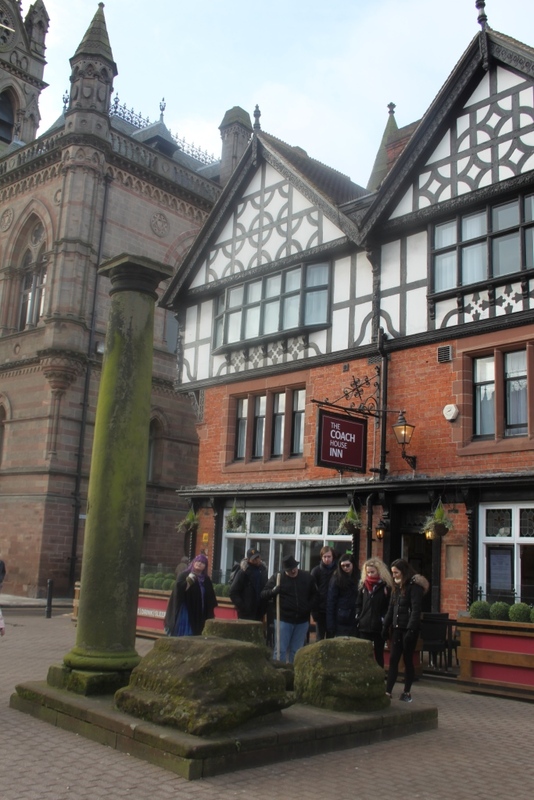 The students usually presume it is a celebration of the Roman past of the city of Chester: valorising the civic identity and past of the nearly 2,000-year urban centre. In part this is true, however, this public assemblage of spolia on a bespoke base, and with two plaques explaining it, is more complex than it seems at a first glance. I suspect many do not read the plaques and appreciate the character of its sentiment, despite it being situated at the hub of the city and its commemorative monuments. I try to correct the students on multiple points and discuss the implications for the future of the city. There is also an assembled collection of fragments as a ‘heritage memorial’. This is an arrangement of Roman and 18th-century ‘spolia’ assembled to commemorate the winning of a heritage award. The classical and neo-classical are displayed together as part of the commemoration of heritage and the commemoration of heritage practice. 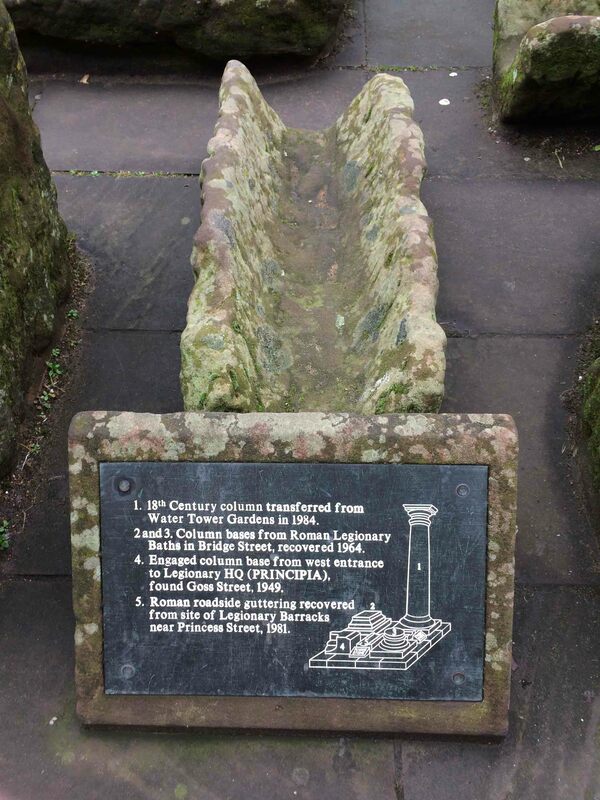 So yes, the medium of spolia serves to celebrate the antiquity of the city of Chester and its origins as a Roman legionary fortress, but it is more than this. For the tall column is actually 18th century, and its integration into this display brings to the fore the commemoration of the neo-classical post-medieval city of Chester, and only indirectly serves as a commemoration of the Roman inheritance. While I’ve discussed the archaeology of Brexit before here in general terms, and subsequently in relation to church archaeology and a memorial to victims of terrorism, this is a different example worthy of reflection. 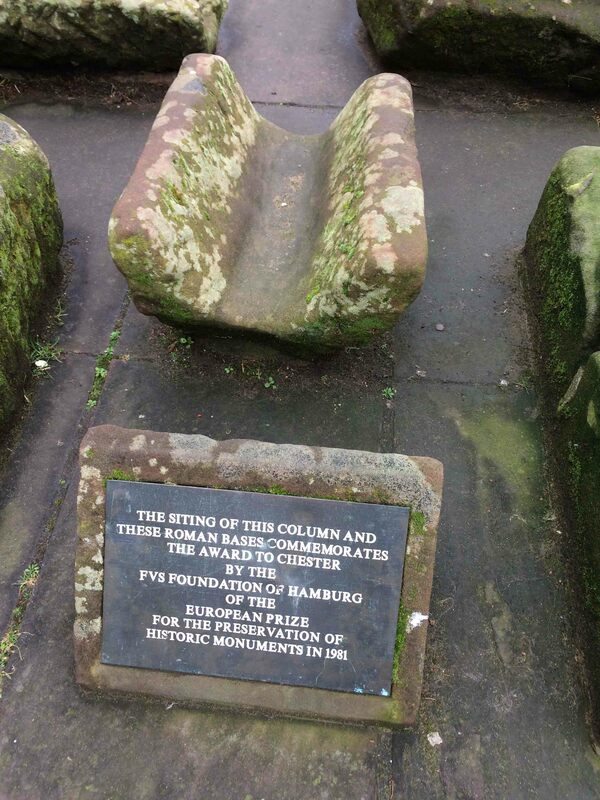 For this monument currently serves to celebrate Chester’s endeavours in historic monument preservation on a European scale and in the context of peace in Europe in the decades following the Second World War. After Brexit, if and when it actually happens, how will this monument take on new significances and associations? For Brexit will not necessarily intervene on the appearance of this monument, but Brexit will rapidly and irrecoverably shift this monument’s meanings and allusions, as Chester’s endeavours in historical preservation are no longer integrated into the European union with other nation states who share in the legacy of both a Roman past and the neoclassical celebration of this past. I believe Chester voted Leave, perhaps they’ll take them all away if/when we do.